Held annually at Fira Gran Via in Barcelona, Spain, Mobile World Congress (MWC), is the most influential trade fair for mobile industry. This year's MWC, running from February 25 through 28 and themed “Creating a Better Future”, attracted nearly 110,000 visitors as well as over 2,300 exhibitors from all over the world, including a number of Taiwanese tech firms. Supported by Taiwan's Industrial Development Bureau (IDB), the administrative agency of the Ministry of Economic Affairs of Taiwan, Committee of Communications Industry Development Ministry of Economic Affairs and Industrial Technology Research Institute (ITRI), a Taiwanese government-funded R&D institution, jointly headed an exhibitor group composed of Taiwan's high-profile technology and telecommunication firms to showcase a variety of innovative high-tech products made in Taiwan during the exhibition. The exhibitors included Chunghwa Telecom, the largest telecommunications company in Taiwan; Advantech, a Taiwanese listed company dedicated to providing solutions for automation; Everspring, a firm making burglar alarms, surveillance devices and home automation appliances; and many others. 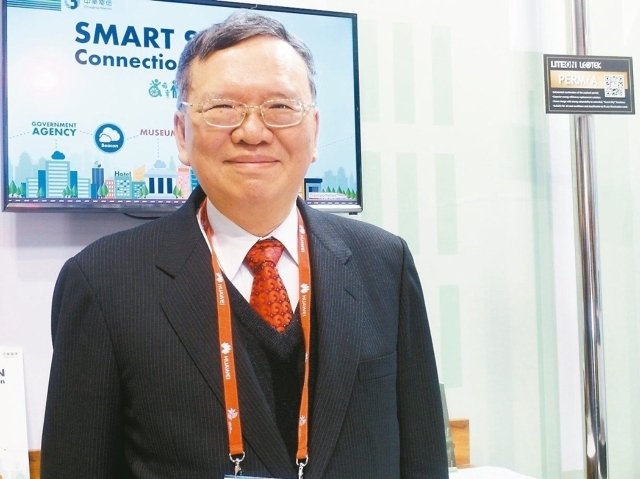 To impress global visitors, the abovementioned committee and ITRI established Taiwan Pavilion at the exhibition, and demonstrated two newly developed technologies: Network MIMO (Multi-input Multi-output) for 5G UDN, and intelligent Multi-access Edge Computing (iMEC). With a high density of mini cell sites, Network MIMO for 5G UDN highlights an ultra-fast loading speed and low latency, allowing users to enjoy streaming videos without delays. On another front, the iMEC system allows users to understand the situation in an appointed area through sending back instant images that are captured by remote devices. Noteworthily, other companies exhibiting in Taiwan Pavilion showed eye-catching products and technological solutions as well. For instance, Chunghwa Telecom unveiled its 5th generation wireless systems for corporate clients, which offer more stable transmission quality. Meanwhile, the firm also displayed its vMEC (Mobile Edge Computing) technology that can be applied to face recognition and mobile Satellite News Gathering (SNG). In addition, Everspring, under its “HOMESYS” brand, provided systematic security control solutions. Aiming to look for long-term business partners, the firm, which focuses on market segments of home automation, monitoring, and alarm systems, is able to provide the customers one-stop integrated services as a supplier of comprehensive household automation solutions. With the abovementioned cutting-edge tech products and solutions, it is safe to say that the 5th generation wireless systems have been increasingly used in not just smart phones and smart glasses, but other value-added applications. To enable users to experience a smart life of future realized by 5G systems, most of the booths in Taiwan Pavilion allowed visitors to try out the products and gadgets on display in person. Located in the exhibition hall with an enviable position and impressive layout, Taiwan Pavilion attracted a constant influx of professional buyers to place orders during the event. Meanwhile, various new product presentations held boosted presence of Taiwanese exhibitors among so many global telecom tycoons at the show. Yu Cheng Chairman and Chief Executive Officer of Chunghwa Telecom (photo provided by UDN.com).